The perfect accompaniment to any style of garden, the Rustingting Thatched Bird Table would make a fantastic gift. 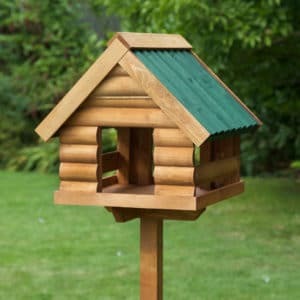 Or why not just treat your self! 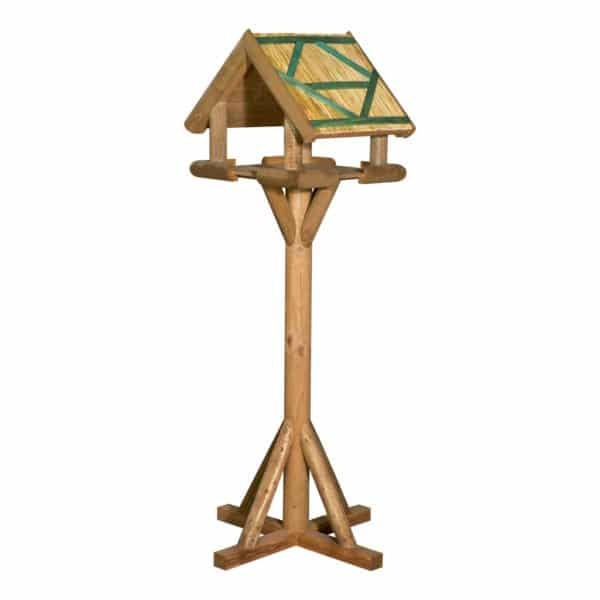 Your garden deserves the best, and this beautiful table will last for years attracting all types of wildlife to your peaceful plot. 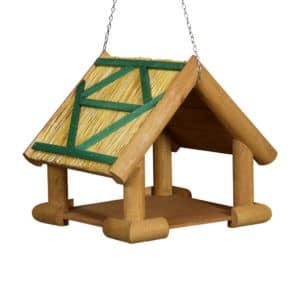 The classic thatched design, contrasting latticework and tanalised timber make for a timeless birdhouse come head turner. 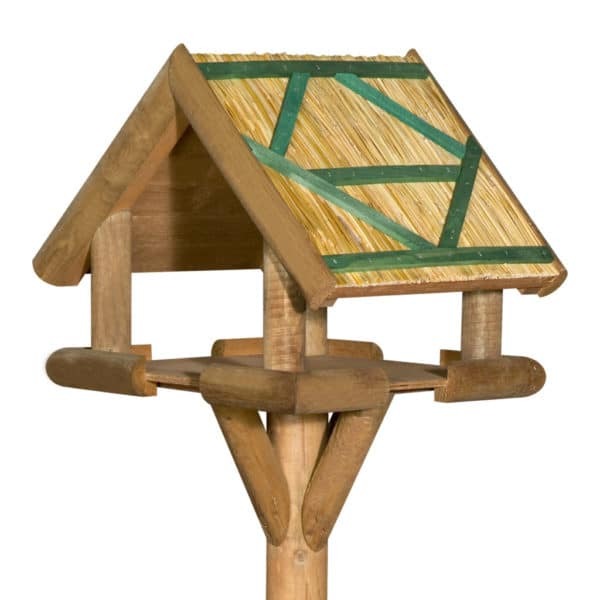 The Rustic Thatched Bird Table is the crown jewel in our bird table range. 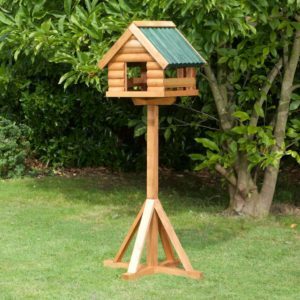 The sizeable heavy design oozes quality and harps back to an age of craftsmanship and techniques passed down from generations. The bird table head is built by hand using traditional thatching techniques. 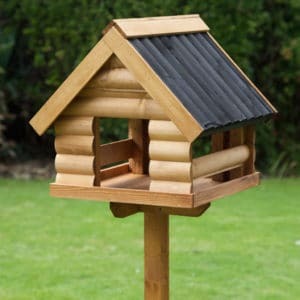 Using local dried reads right here in Kent. 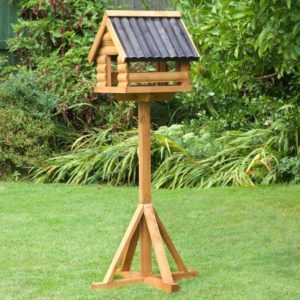 The work needed means that the Rustington Bird Table takes up to 4 times longer than other birdtables to make, but you’d agree the finish is worth it. 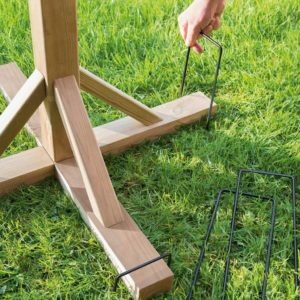 Although the design is rooted firmly in a classic bygone era, the Rustington Thatched Table would make a handsome addition to any style of garden. 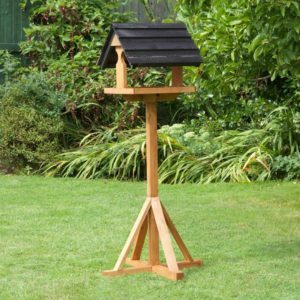 The heavyweight design and materials used means that regardless of weather conditions, where other lesser bird tables would risk of falling over the Rustington Table is more likely stay standing. 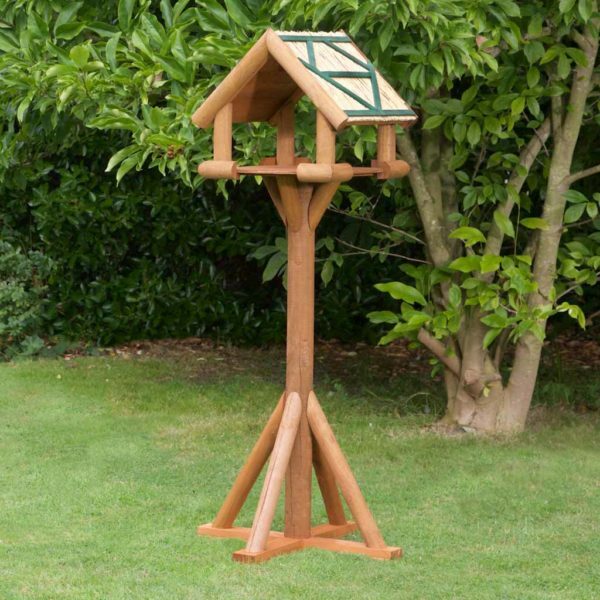 There’s no need to worry about complicated assembly instructions or a list of required tools; the Rustington Bird Table comes fully assembled in two parts. The head and stand will arrive at your door securely packaged in two large boxes. 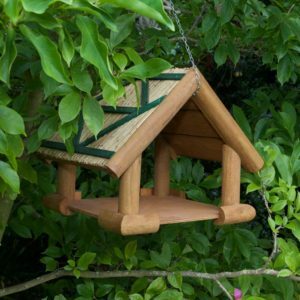 A perfect gift for the keen birdwatcher or that special someone who takes pride in their garden. 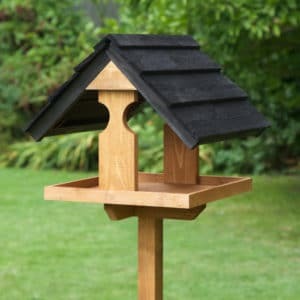 The Rustington Bird Table will provide its lucky owner with years of dutiful service, supplying the local wildlife with a stable feeding base and garnering compliments from onlookers. 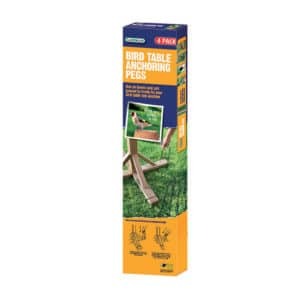 Two people recommended for head placement and assembly due to weight.